The Western Balkans, which was engulfed in war during the 1990s, regardless of the claims of its leaders to the contrary, is once more showing signs of an increasingly unstable political climate. The internal political situation in most countries of the region cannot be described as stable as it is the result of a constant friction between competing political actors. As for external relations, they have also been tense with numerous insults and threats being exchanged between neighboring countries. These public statements, despite being characterized as the results of domestic political wrangling by analysts, demonstrate how difficult the burden of the 1990s is to overcome. The situation in Macedonia is certainly the most sensitive. This country’s election results of five months ago are yet to be transformed in the formation of a new government as its President, Gjorge Ivanov, has refused on several occasions to give the mandate to do so to Zoran Zaev, leader of the Social Democratic Union of Macedonia, who has managed to assemble a majority coalition. 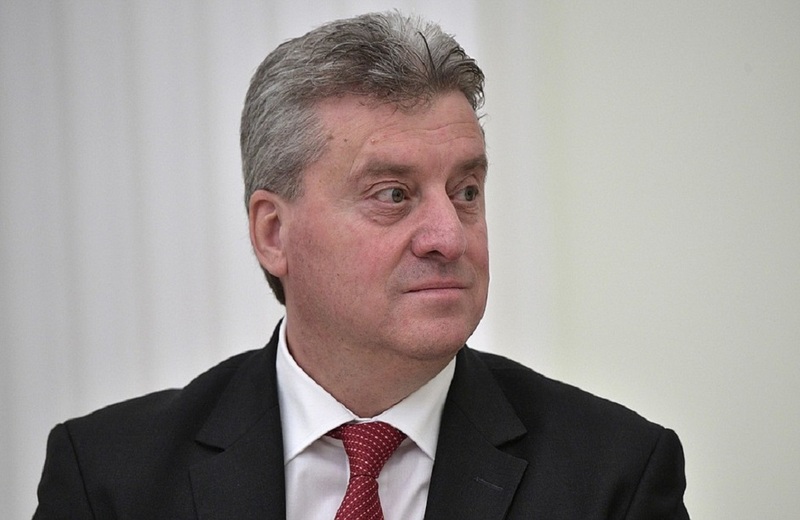 In the end, President Ivanov succumbed to external and internal pressure and the formation of the new government, with astrong influence of ethnic Albanian parties, is expected in the coming days. The decade-long rule of Nikola Gruevski, leader of the now opposition VMRO-DPMNE party, had finally reached its conclusion. Attempts to prevent such an outcome through public disorder and a possible state of emergency in the country which would lead to new elections and possibly leave the party in power have clearly failed. Prime Minister-elect Zaev will now form a government in which the ethnic Albanian parties will play a major role without which he would not have the necessary majority in the Macedonian legislature, the Sobranje. These political parties, which remain ethnically exclusive in their membership, recently announced some of their political goals, known as the “Tirana platform,” which call for the status of Albanians in Macedonia to be redefined from that of a minority to being equal with ethnic Macedonians. The “platform” includes other demands which many in Macedonia view as a prologue for the splitting of ethnic Albanians from Macedonia in attempt to create a Greater Albania which would include Albania, parts of Macedonia, southern Serbia, Montenegro, as well as Kosovo. Zaev has maintained that as Prime Minister he will fully abide by the constitution and will not in any way threaten the current status quo in the country. It remains to be seen how he will achieve this given the significant pressure he will face both from the opposition and from within his own coalition. This status quo cannot be expected to result in any protracted stability for the country and can very easily lead to internal destabilization of the country, as well as problems with its neighbors. Is the EU membership the solution? All Macedonian political actors and the majority in other countries of the region have underlined that the only real “unification” which can take place is the context of future EU membership, which would mean addressing internal divisions and never redrawing unrecognized borders between states. In case the EU accession process takes too long and the internal situation, for whatever reason, moves in the opposite direction with calls for the redrawing of borders or mutual accusations, the whole of the Western Balkans would be left without any real economic growth prospects because of its instability. Such a scenario would be ideal for those forces, which build their success on nationalist politics, the mischaracterization of history and ethnic hatred. We hope that this is clear to the policymakers in the EU.